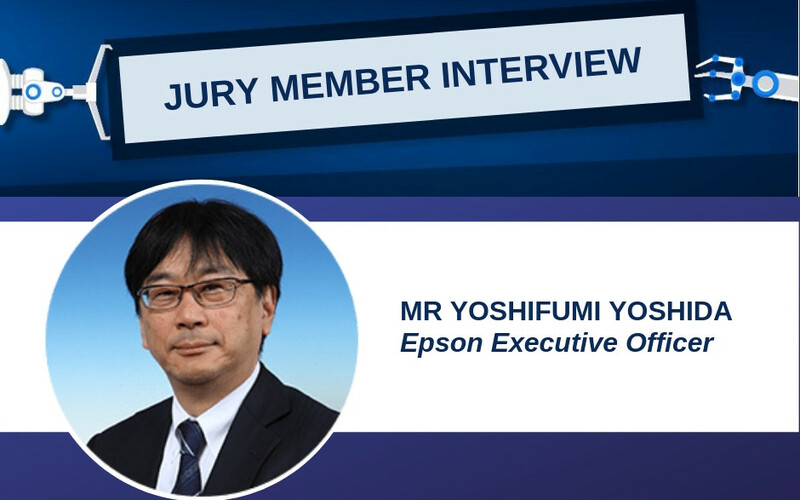 Interview with Mr. Yoshifumi Yoshida, executive officer at Epson and previously COO for the Robotics Solutions Operations Division. 1. When did you first get involved in the robotics industry? Epson as a company have always not only owned their own factories, but also developed their own automation technologies to manufacture their products. With the company’s heritage in watchmaking this meant devising extremely precise and efficient automation solutions to manufacture Seiko Epson watches. This was my introduction to automation in fact. 15 years ago, I joined Epson’s internal factory automation department and led the team for 10 years. This experience brought me to join the Robotics Division three years ago. 2. What is it about robotics/automation that really fascinates you? Automation can release operators from repetitive works and make more time for them to focus on creative works. Also, robotics can produce products which cannot be made by human beings. Their speed, precision and efficiency allow them to reduce waste in manufacturing by considerable amounts. Not only reducing the primary materials needed to make a product, but also reducing if not eliminating entirely the number of goods that don’t make it off the manufacturing line due to production failures. 3. What is the most exciting use of robotics and automation technologies that you have seen in recent years? There is no one particular example that I can highlight, advances in robotics and automation have been taking place so quickly and in so many sectors that it is difficult to pick just one. Robots have very visibly taken their place in large-scale manufacturing production, but it is important not to forget that robots can also advance small-scale production, presenting productivity and profitability opportunities for many industries needing small-scale, lean and agile operations. Today, Epson has over 85,000 robots installed in factories throughout the world, and I continue to marvel at the speed with which new applications are developed using Epson robots. The potential of new technologies to revolutionize manufacturing is very exciting. At Epson, we are focusing on developing A.I technology which will make it possible to take our know-how in precision manufacturing to the next level. Potentially including an automation solution which 3D printer made parts could be handled by robotics – I hope to see this materialize in the near future. We see high potential in the food industry, especially in providing new solutions for fast food or convenience stores such as the assembly of lunch packs, sandwiches, etc. Handling soft, squishable and easily breakable materials such as sandwich bread is not an easy task, but we are developing the technology to support such tasks, through developments in sensing technology which enable robots to automatically modulate the force they apply to objects. This will allow the automation of complex tasks that in the past required human sensory perception. 4. Do you foresee artificial intelligence (AI) playing an important role in robotics within the next 5 to 10 years? Yes, I do. Especially for teaching, programming and condition setting in robotics, A.I will play an important role. This will help to make robotics and automation more accessible and easier to understand. Many European countries have highly advanced automation technologies. As the population ages and the labour force shrinks, robotics and automation will be vital in supporting our workforce. The millennial generation, who already make up 50% of the world’s population, will fully embrace working with and alongside robots. It is important that the know-how many experts in manufacturing currently hold is transferred to the growing robot workforce. We hope that the contest will give students who are interested in robotic technologies the opportunity to gain real-life, hands-on experience and promote innovative solutions for the future. .